Notice a recent jump in your take-home pay? That's probably because of new IRS payroll withholding rates triggered by the Tax Cuts and Jobs Act of 2017. That's the new tax law adopted late last year by the House and Senate and signed by the president. The question now for working Americans is what to do with the extra money. Spend it? Save it? Or do something else? Our advice: Double check the numbers. Make sure there's enough withheld from each paycheck to ensure you don't need to write a big check to the IRS next year. Before using the calculator, be sure to gather your latest tax return (2017 preferred) and recent paycheck stubs. The calculator will produce your results with instructions on how to change your withholdings to more accurately fit your situation. These estimates are not perfect, nor guaranteed, but they will get you closer to a smaller tax refund or payment at the end of the 2018. It is true that your monthly take home pay will decrease by electing to have more withheld from your paycheck each pay period. But this is significantly better than owing a large tax bill in April. Most people don't like writing big checks to the IRS, and if it's too large to handle, it could lead to interest and penalties for late payments. The easiest way to avoid a big bill next April to increase your withholdings now and spread out the tax impact over the course of 2018. You also want to be sure you don't overwithhold, leading to a large tax refund next year. Why would you want a smaller refund? A large refund means essentially you are granting the government an interest free loan by allowing them to withhold more than necessary and paying it back to you in the spring of 2019. 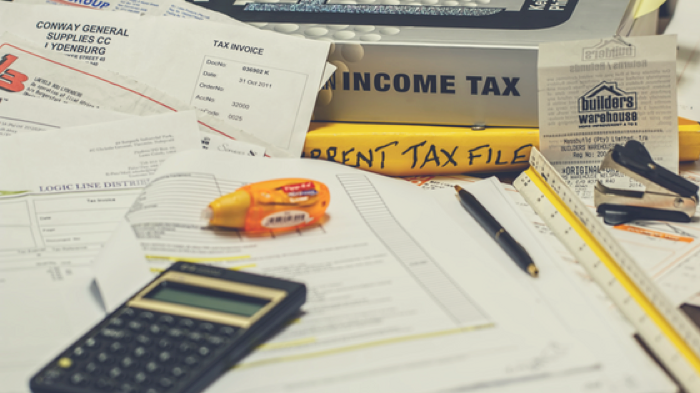 By reducing your tax refund, you are increasing your take home pay each pay period, allowing you to use your money for monthly goals, rather than wait a year to receive it back.